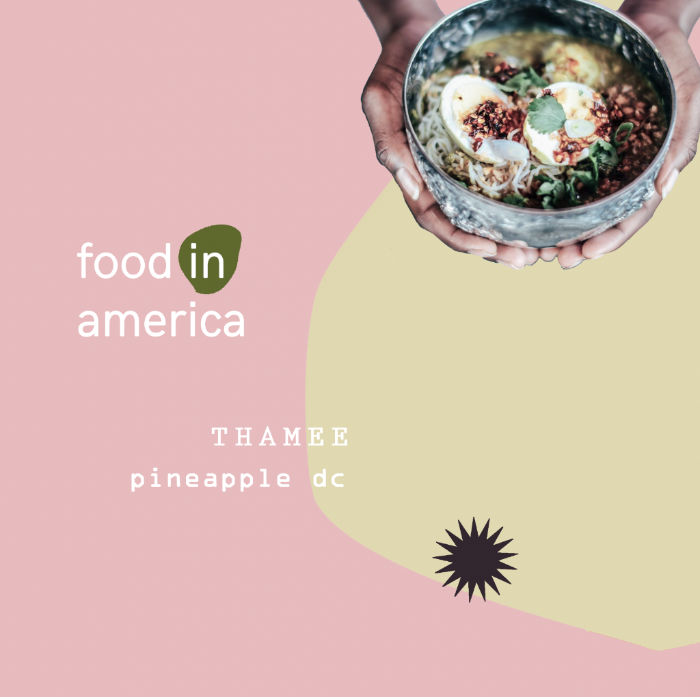 In partnership with Pineapple DC and Sally's Middle Name, we invite you to Thamee: a pop-up restaurant experience serving up a Southeast Asian family-style feast highlighting Burmese cuisine and hospitality. Join us for an intimate dinner prepared by Toli Moli's Jocelyn Law-Yone, pioneering chef of DC's only Burmese falooda and snack shop, and her daughter, Simone Jacobson, Toli Moli co-owner and general manager, who will moderate the conversation. Shedding light on underrepresented food stories from Burma, guests will enjoy flavors ranging from sour to sweet. "Thamee", meaning "daughter" in Burmese, celebrates that we are all someone's child and our own children reflect our aspirations. Each generation carries on the kitchen traditions of their ancestors in a new way. Tickers are $60 and include dinner. A cash bar will be available. This event is co-hosted with Pineapple DC. Inspired by Bon Appetit magazine's spotlight on Food in America, Pineapple is celebrating the diverse culinary traditions found in the kitchens and homes across the country. In partnership with Sally’s Middle Name, we invite you to the second event in Pineapple's summer dinner series.